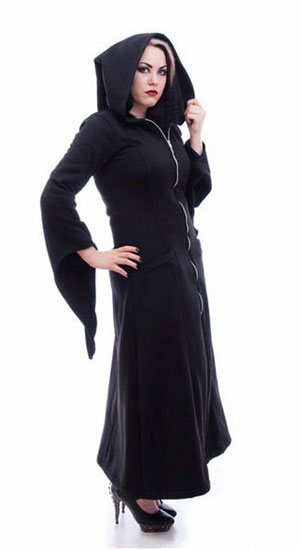 The Lilith Gothic coat is made from warm sweatshirt fabric and has bell cuffs and an over sized hood. Imported from the UK. Women's coats. are the pockets real or are they just stitched to look like pockets?? The coat is awesome. I am 5 foot so it's a little long and easy to shorten. I do know how to alter. The only issue I had was the pockets were sewen shut. But it was an easy fix to open them up. I like that the zipper is metal. I would recommend this coat.